A vegan oasis in the Blue Ridge Mountains of Central Virginia. A sanctuary and retreat....for humans and animals alike. 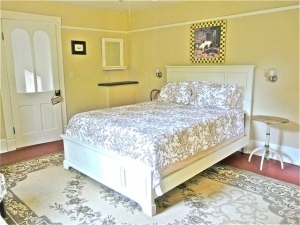 This room is located in The Main Guest House (aka the pink house) on the first floor. 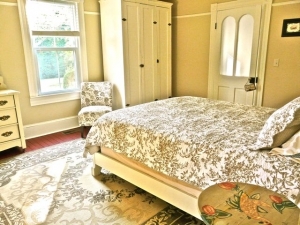 The room features a queen size bed, with meadows views. 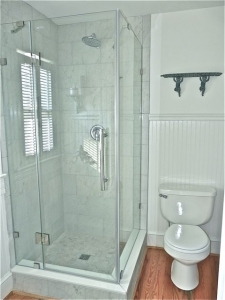 It has a private en suite bathroom with tiled shower. 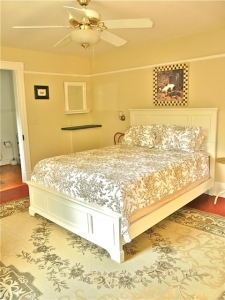 It has access to a communal living room with a television, mini fridge and microwave.  © The White Pig Bed & Breakfast name and logo is trademarked and copyrighted. It may not be reproduced without permission.